Carrot cakes are known for being moist, spicy and loaded with plenty of complex flavors. They are also known for being topped with a generous layer of cream cheese frosting. 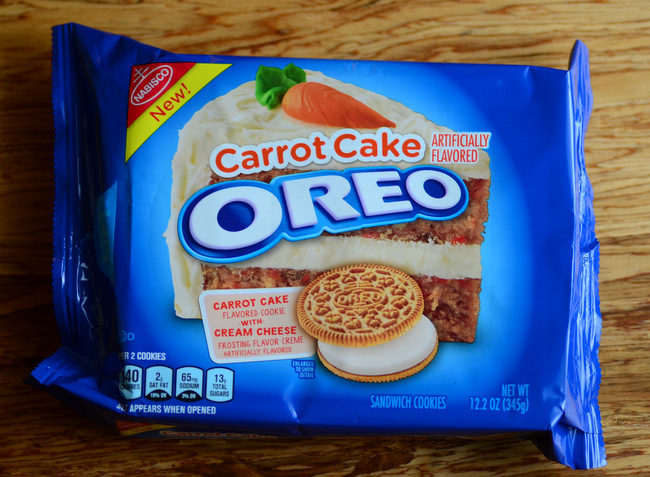 Carrot cake is always a comfort food dessert, so it’s no surprise that Nabisco decided to make Carrot Cake Oreos one of their newest limited edition flavors. The carrot cake-flavored cookies are sandwiched together with a layer of cream cheese-flavored frosting. They’re a light orange brown color with visible specks of spice in them. Unfortunately, there is no carrot in these cookies. Instead, the carrot cake flavor comes for the same variety of spices – like cinnamon and nutmeg – that are usually found in carrot cake. You don’t really taste the carrots in either the cake or the cookies, so the cookies are really quite similar to the cake in that way. The filling has a good cream cheese frosting flavor, which really ties the whole carrot cake idea together. The cookies are sweet, spicy and with just the right amount of “frosting” to remind me of the cake that inspired them. These are great for an afternoon snack and I can see crunching them up and making a carrot cake cookies n’ cream dessert with them. 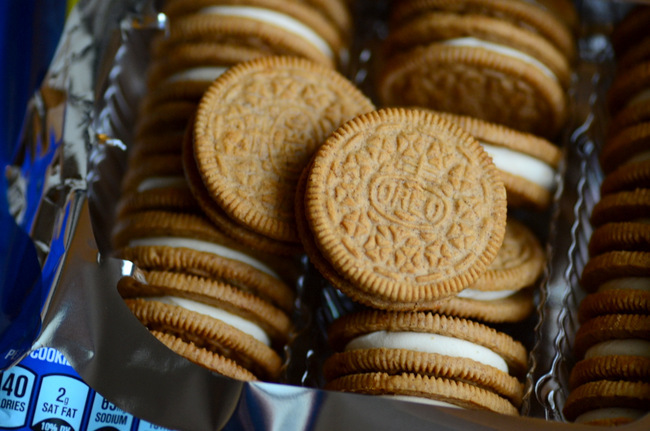 As is the case with all Oreos, they’re good when dipped in milk, but I prefer these dipped in a mug of warm tea. If you like carrot cake, keep an eye out for these and give them a try while you can. You’re right, these would make great crumbs for a dessert! What kind of tea do you dip in? Just plain black tea or something else?